The DWP has reset Universal Credit on a sounder basis but at significant cost, by extending the time for implementation and choosing a more expensive approach. The Department for Work & Pensions has reset Universal Credit on a sounder basis but at significant cost, by extending the time for implementation and choosing a more expensive approach. It is now vital that the Department quickly establish clear goals for delivering the programme, in terms of cost, time and functionality, against which it can be held to account. The National Audit Office has concluded that it is too early to determine if the Department for Work & Pensions will achieve value for money in its implementation of the Universal Credit programme. The Department set out to transform the benefits system with Universal Credit and suffered early setbacks. 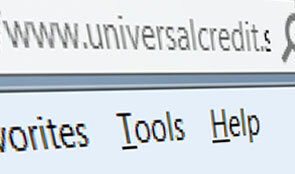 Since the reset in early 2013, it has reduced the delivery risks by significantly extending its timetable for introducing Universal Credit and choosing a more expensive twin-track approach: the roll-out of its ‘live service’ (which uses pre-2013 IT assets), while at the same time developing its new ‘digital service’. The DWP believes the additional costs of this approach are justified because it expects Universal Credit to achieve substantial benefits for society sooner and more safely. However, such potential benefits do not mean Universal Credit will be value for money regardless of how it is implemented and the cost of doing so. Since the reset in early 2013, the Department has developed and refined its ‘test and learn’ approach while continuing to expand its live service. The Department was slow to produce long-term plans for the future services and HM Treasury required the programme to produce more realistic plans before it approved the business case in September 2014. In the longer term, the DWP has reduced risks in its planned transfer of most tax credit claimants to Universal Credit by extending the timetable by two years to the end of 2019. It was becoming increasingly unlikely that the DWP could transfer over one million tax credit claimants on to Universal Credit in April 2016 as planned without significant operational risks. The Department’s digital service has been delayed and is still in the very early stages of development. At this early stage it will depend heavily on manual intervention and will handle only a small number of claims – but it is soon to be tested with all claimant types, even the most complex. The timetable is challenging, with the Department planning to start to roll out its fully scalable digital service in just 18 months time. It expects significant savings from its digital service, but does not yet have a contingency plan should the digital service be delayed or fail. It has not evaluated whether it could use the live service instead. The NAO estimates that using live service systems, without further investment, could cost £2.8 billion more in staff costs. In principle, the DWP’s approach should allow it to learn from experience, improve the design and readiness of services and reduce risks. Given the gradual progress of the past year and the early stage of digital development, the Department has not yet tested its new digital approach, or gone through the process of integrating this with live service. The NAO finds that the Department has continued to struggle to stabilize senior leadership roles and responsibilities. However, it has taken a more active approach to managing suppliers and establishing financial control within the programme. Among the NAO’s recommendations is that the Department ensure it has a clear basis for making decisions across the strands of the programme.